Grayson Perry is best known for his vibrant, modern, often politically motivated, and highly stylised artwork, which ranges from paintings, to textiles and ceramics. Razor-sharp knowledge and appreciation of the world of art, combined with an outsider’s perspective originating from his humble, working class roots feeds into his creative process. Accompanying the tapestries will be an audio-visual display of the Ballad of Julie Cope, the artist’s full narrative of his character featured in the artwork. 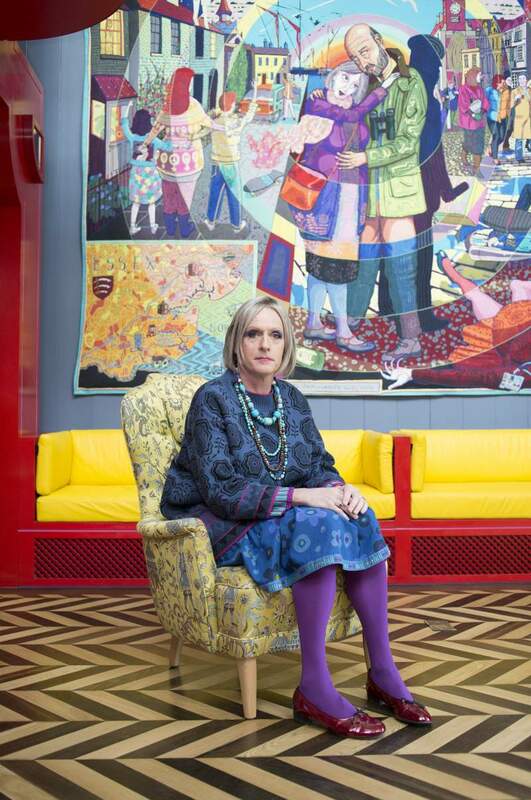 Grayson Perry embraces and values those the classical world of art might consider too mundane to recognise, and through his artwork and account, Julie Cope is elevated from her unremarkable life into legend, to become something entirely fabulous.